Seminal rocker, poet and artist, Patti Smith, recently received the National Book Award in Non-Fiction for “Just Kids,” her memoir of her close relationship with artist Robert Mapplethorpe and her rise in the New York City arts scene in the 70s. A Rock and Roll Hall of Famer, Smith was one of the early progenitors of the New York City punk movement in the 70s, and “Just Kids” tracks her life from a bookish teenager in Pennsylvania to New York City in the early 70s where she befriended poet/gadabout Allen Ginsberg, dated playwright/actor Sam Shepard, and became an integral part of Andy Warhol’s scene. With respect to her music, “Just Kids” rightly focuses on her foundational album, “Horses,” which came out in 1975 and kick-started the NYC punk scene that begat The Ramones, Richard Hell, Television, and eventually the Talking Heads. 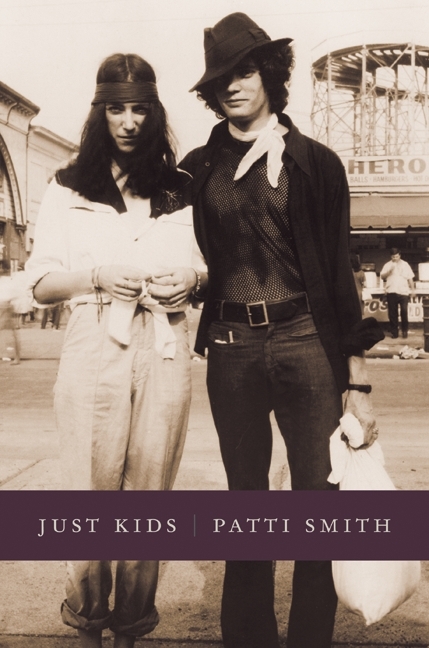 “Just Kids” primary focus, however, is on Smith’s relationship with photographer Robert Mapplethorpe (his photo became the cover of “Horses” shown below). They were friends for years and lived and worked together as struggling/starving artists, and developed a mutual love for each other. It’s a fascinating and highly recommended read. 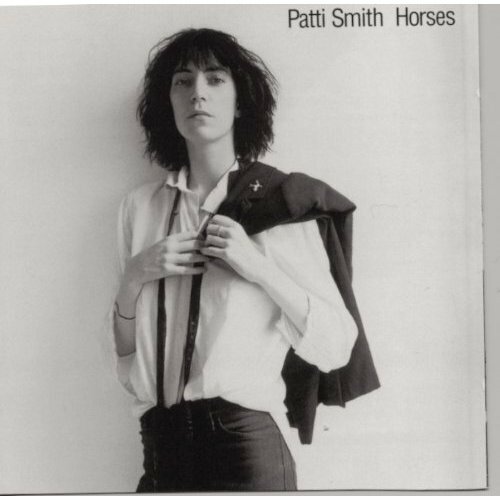 We fell in love with Patti and “Horses” from the start. Her cover of Gloria demanded your attention, but then rewarded with Birdland, Redondo Beach and a host of great songs. The first time we ever saw her perform was on Saturday Night Live on April 17, 1976. She was riveting and revelatory. A national audience that had been used to Elton John, KC and the Sunshine Band, and Steve Miller was asked to check out an androgynous, atonal beat poet doll-up a rousing version of Gloria (see way below) with lines about boys loving parking meters (that’s gotta hurt) and her lack of faith in Jesus. Our favorite Patti Smith song is Redondo Beach. We have no idea the connection to the LA beach town, but the light-sounding, reggae-fied music contrasts with the dark lyrics regarding a lovers’ quarrel that leads to death. Smith asks over and over, “Are you gone-gone?” seemingly unable to accept the passing. It’s a melodic, but harrowing ride. High art. Check it out. HT = “hat tip”, tho ‘haute terrifique’ sounds cooler. let’s just say i meant that instead. Hey eu! HT? Haute Terrifique? Loved the Patti Smith on SNL video! HT Lefort. This entry is filed under Books, Music.